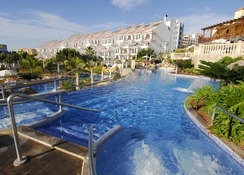 Paradise Park Fun Lifestyle Hotel is a 4-star family adventure resort situated in Los Cristianos in Southern Tenerife. The hotel is just one kilometre from the beautiful Playa Las Vistas Beach. As described by its name, the Paradise Park Lifestyle Hotel appears to be a paradise on earth with its unrivalled services and endless entertainment activities. The hotel offers swimming pools, hot tubs and spacious green areas with breath-taking views of the landscape. 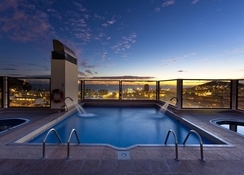 The hotel’s rooftop pool terrace offers stunning views of the Bay of Los Cristianos and Mount Teide. The accommodation includes air-conditioned rooms featuring private balcony or terrace. A free shuttle service to the Playa Las Vistas Beach is provided by the hotel. The Los Palos and Costa Adeje Golf Courses are also present at a short driving distance. Dining options at the hotel’s restaurants include tasty meals served in buffet style and themed evening are also organised in the evening. 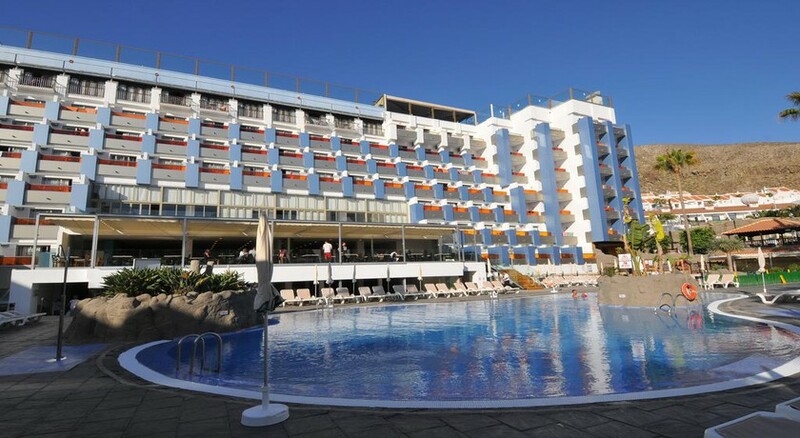 The Paradise Park Fun Lifestyle Hotel is situated in Los Cristianos in Southern Tenerife. It is approximately 3km from the Playa Las Vistas Beach, where the guests can reach via the free shuttle service. 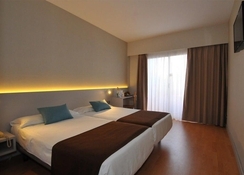 The hotel is 13.5km from the Tenerife South Airport and about 80km from Tenerife North Airport. Siam Park – a fun filled waterpark is about 5km from the property. The hotel offers spacious and brightly decorated twin rooms, family rooms and suites that are further classified as Classic Twin, Superior Twin (Pool View), Premium (Two Bedrooms), Premium Studio (Ground Floor), Twin with Lounge, Premium Twin with Lounge, Duplex, Premium Family Duplex, Junior Suite, Suite and Ocean View Suite. Each apartment has one bedroom and a living area. In addition to this, they have big terraces, which can be accessed either by bedroom or the living area. When you enter the large bathroom, you will find a tub/shower and a hairdryer. The kitchen too does not fall short of anything with a fridge, two-ring hob, coffee maker, kettle, roaster, and microwave is available. Some of the room facilities include 32” flat screen TV, free Wi-Fi, alarm clock, ceiling fan, safe (with charge), direct access telephone, extra beds (on request), and baby cot (on request). Room are disable-friendly having easy access for wheelchairs. There are two restaurants and three bars in the hotel serving appetizing dishes and refreshing drinks. The hotel’s main restaurant serves delicious feasts in buffet style at breakfast and dinner. The main restaurant is accompanied by a café, where lunch and light snacks are served. The restaurant offers lounges and poolside views to make your dining experience even more delightful. A formal dress code is applied at dinner in the main restaurant. The bars serve cold snacks and a range of alcoholic and non-alcoholic drinks throughout the day. Imported or branded drinks are included in upgraded packages in which local charge is applied. There are a total of five swimming pools spread across the resort comprising sun terraces. One large pool is surrounded by Jacuzzis and also connect a kids’ paddle pool. An adults-only pool at the rooftop offers stunning views of the Los Cristianos Bay. A solarium pool on the 8th floor has Jacuzzis and massage showers. Spa lovers can head towards the wellness centre. Other activities include yoga classes, beauty services and fitness centre. Facilities having an extra charge include Jacuzzi, massage, Spa and Sauna. Sports activities include billiards, table tennis (surcharge), golf course (off-site), and bicycle (rental). Kids too can have a lot of fun in the mini club that offers musical games, treasure hunts and water balloons. Evening entertainment is also organised by the hotel’s entertainment team. - Work going to take place: modernization of our roof top (Solarium) Bar, to be able to improve the service in the area as well as increase the seating capacity. Additional information : Pool bar will be screened off and workmen will access directly from the exterior of the hotel, through the lift, to the back entrance of the bar therefore not affecting customer walkways. Exceptionally, larger materials may need to be passed through customer areas. The lift in use by the workmen will be closed off to the public, the other 2 in the main building will remain in use. Sunbed solarium area remains unaffected and the pool / jacuzzi area will also remain in use. Access to the Solarium will be through the 2 main hotel lifts that reach the 7th floor, taking the steps to the 8th.